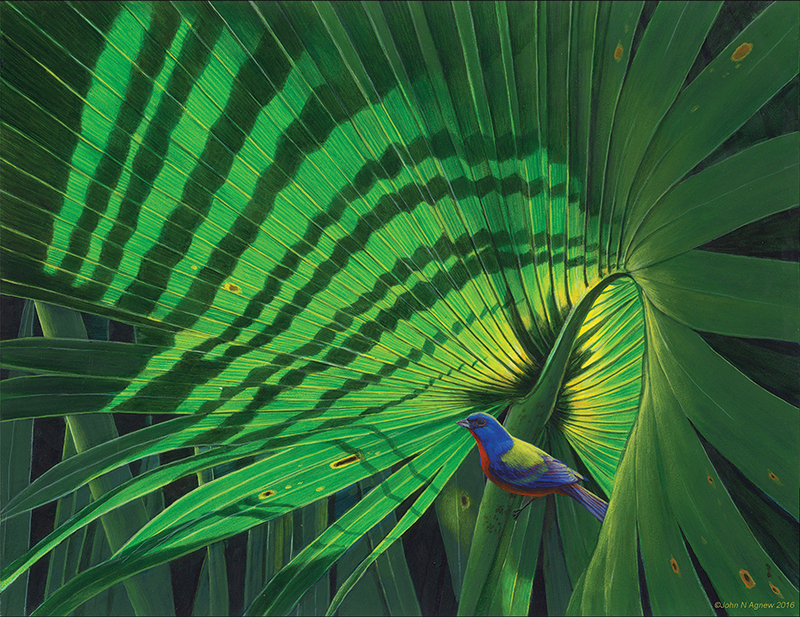 It's an honor to welcome Chicago-based artist Tim Anderson to the Arsenault Studio & Banyan Arts Gallery for his first show in Naples. 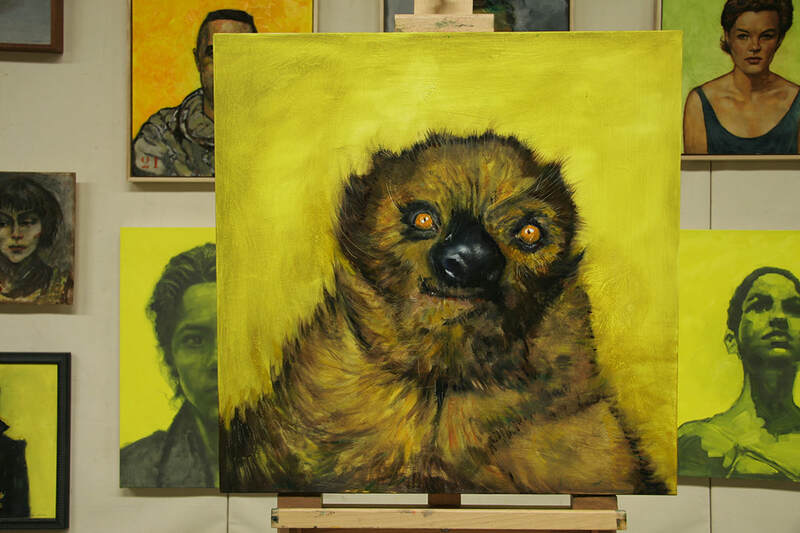 Saints & Sinners (and a Sloth named Steve) features portraits ranging from Joan of Arc and astronaut Gus Grissom to ballerinas, actresses, Seminoles, and yes, a sloth named Steve. 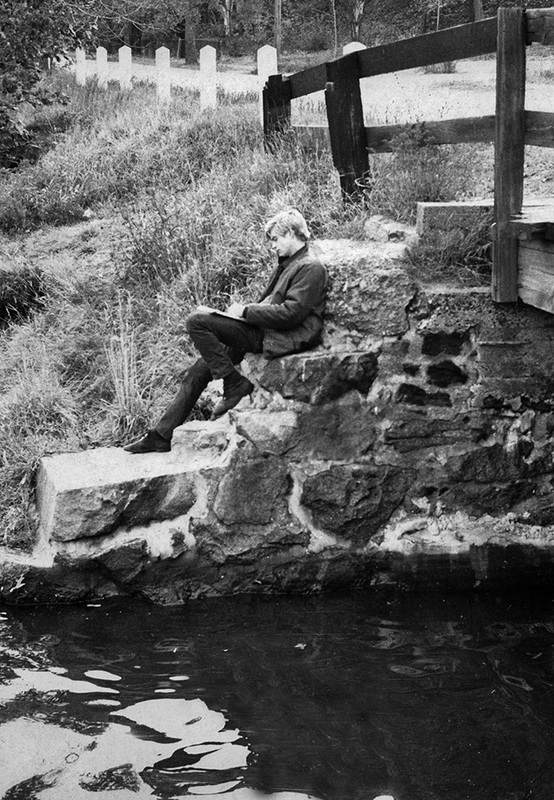 Tim has exhibited continuously since 1978 in Chicago and internationally. In 1989, he started exhibiting his paintings in Europe and has continued to do so in Edinburgh, Moscow, Munich, Regensburg, Krakow, Wolfenbuttel, Italy, and most recently in Paris. Tim describes his love of research as equal to his love of painting. Fascinated by the the journeys and histories of humanity, beasts, and the iconography he associates with these subjects, behind his multi-faceted work is the exploration and in-depth study of the subjects he chooses to paint. 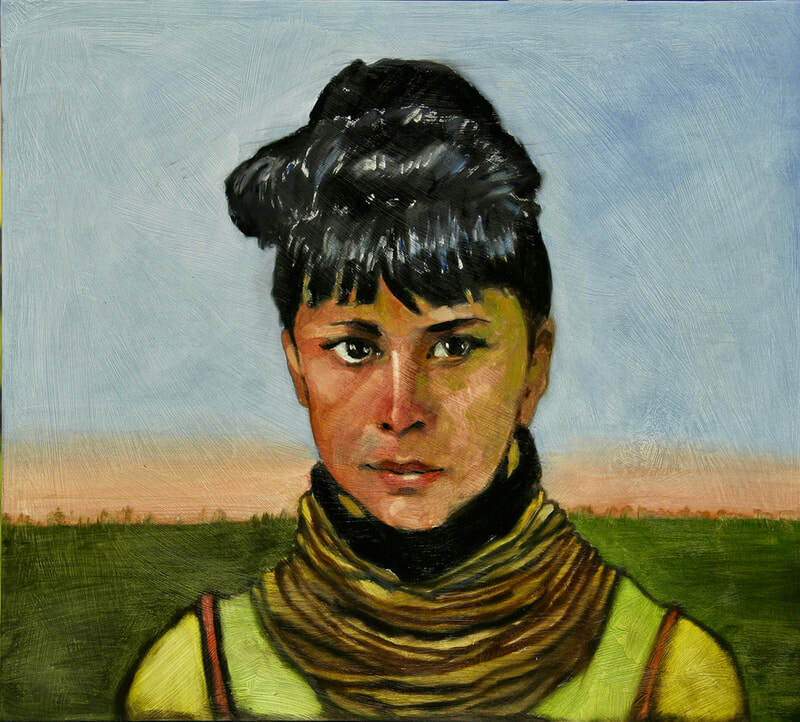 He has focused on the subject of the human visage for the past three decades and is known for large portraits with a strong yellow background. The yellow, a Dutch color from old Holland, is a harsh yellow that he loves. The drawings are done in pencil and graphite. Two artists, two styles, one show! 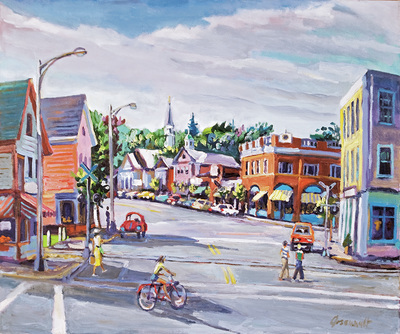 Join us for the opening reception of BEST BUDS and see how paintings by Paul Arsenault, an impressionist plein air artist, compare to those by abstract artist Mary Parkman. 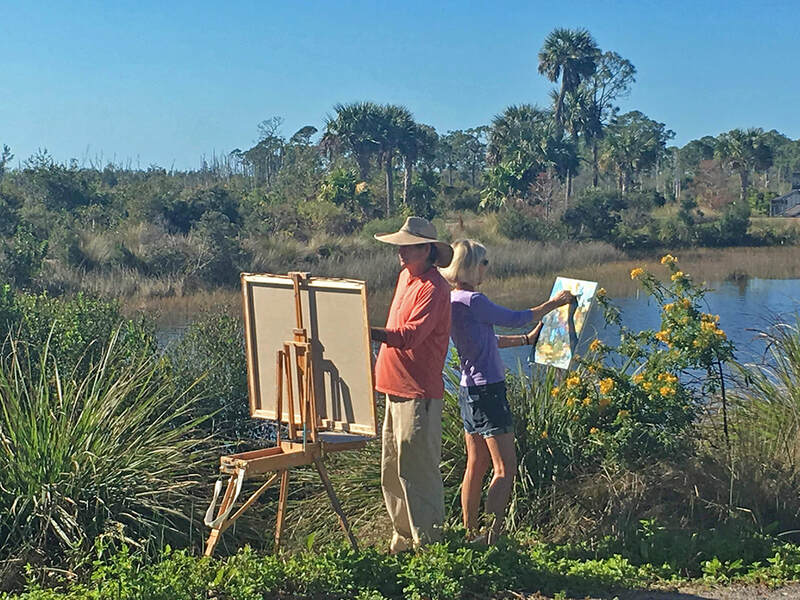 The two artists have recently been spotted at the Naples Botanical Garden—the inspiration for the show. The opening reception takes place on Wednesday, March 13 from 5:30-7:00 PM. If you can't make it to the opening, the show will be on view at the Arsenault Studio & Banyan Arts Gallery through March 31, 2019. 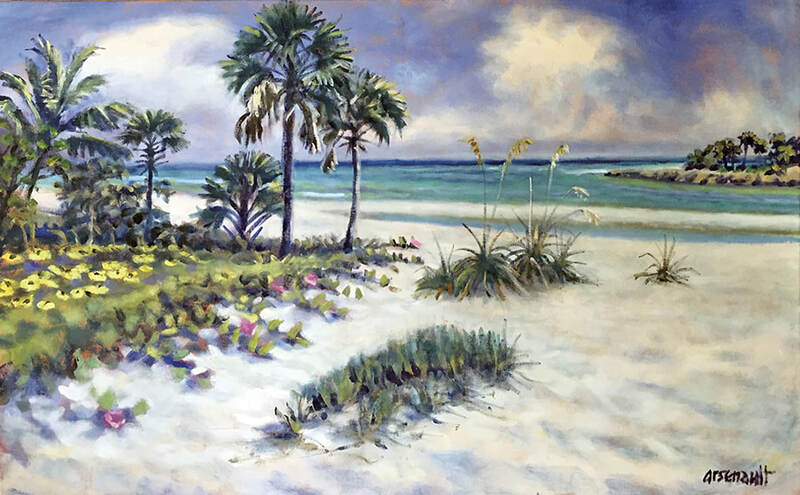 For more information or to RSVP for the reception, please call the gallery at 239-263-1214. PAUL ARSENAULT'S traveling exhibit, COASTAL TRADE…BOUNTY, BOOTY, AND BOATS OF THE GULF AND GLADES FROM NAPLES TO KEY WEST includes not only paintings that represent the pioneer days of southwest Florida’s maritime trading networks, but folk art, posters, and artifacts that relate to this heritage. 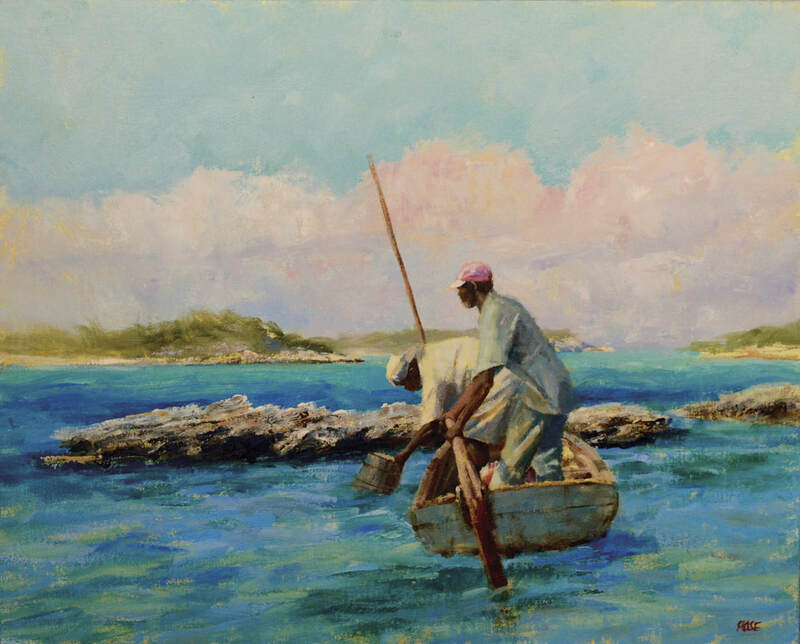 Arsenault’s paintings include fish houses in Naples and Isles of Capri, markets and general stores in Key West, clam canneries on Marco Island, and trading posts in the Everglades that were used by pioneers and Seminole Indians. Vessels that plied the Gulf catching fish, making deliveries, and transferring merchandise and passengers, such as the “Ina” and the “Bertie Lee” are represented in the exhibit, as is the replica of a pirate ship based in Key West that was the floating home office of treasure salvor Mel Fisher in the 1970s. 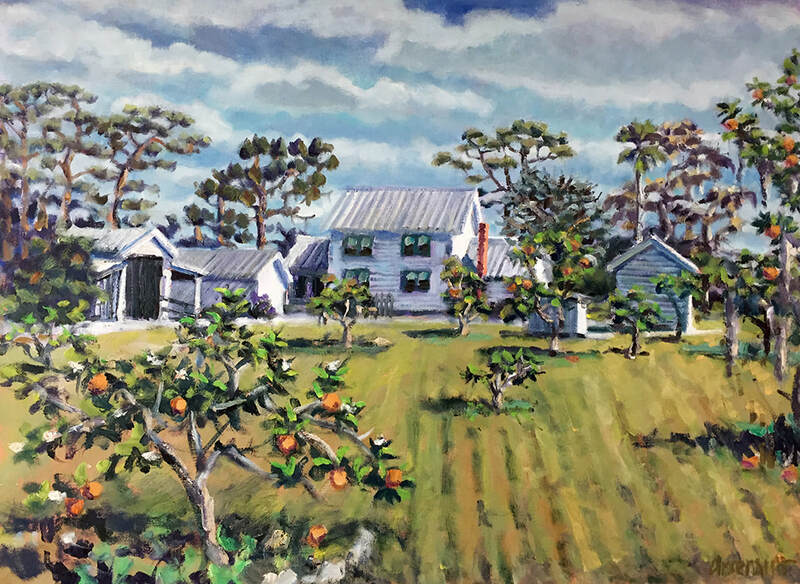 There are also images of homesteads of some of the early growers and notorious characters whose produce was sailed, poled, or rowed to market from deep in the Everglades. That Mr. Arsenault had the opportunity to meet some of the remarkable old-timers with deep roots in this area makes the exhibit particularly interesting. For more information call 239-263-1214. 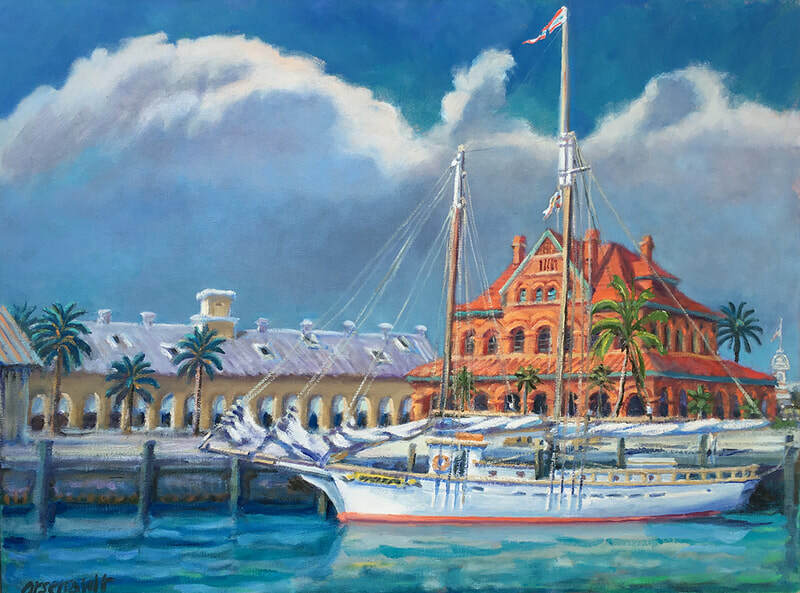 For over 44 years Paul Arsenault has devoted his painting to the places and events that visually speak to southwest Florida's history. 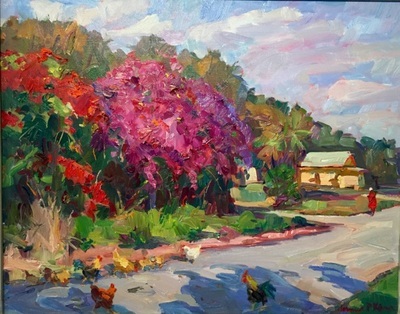 The painted stories in this exhibition explore the heartland of Florida and its transition over 150 years from a raw wilderness inhabited by the Seminole and hardy pioneers into a vibrant, multicultural agricultural core. 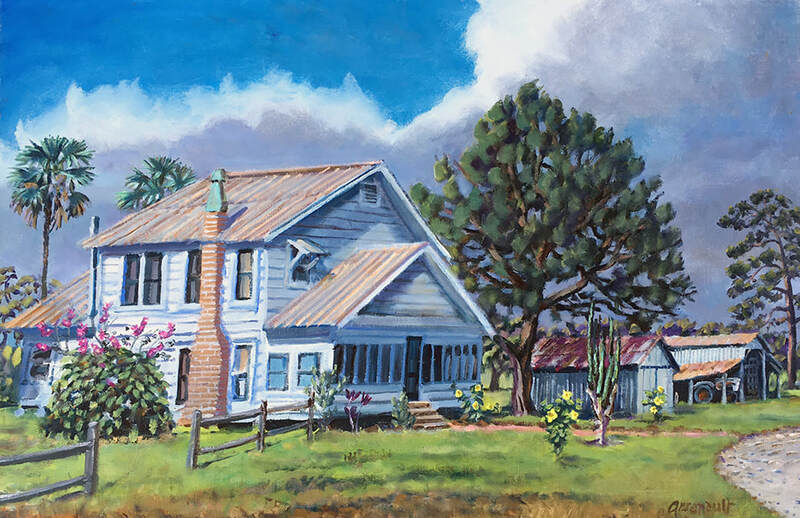 The show, sponsored by The Friends of Collier County Museums, runs from January 9- March 23, 2019 at the Immokalee Pioneer Museum at Roberts Ranch, 1215 Roberts Avenue West, Immokalee. 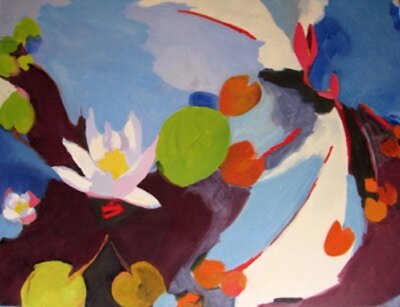 Please join us for the artist's reception on January 15, from 5:00-6:30 PM. For more information about the show please call Arsenault Studio & Banyan Arts Gallery at 239-263-1214. 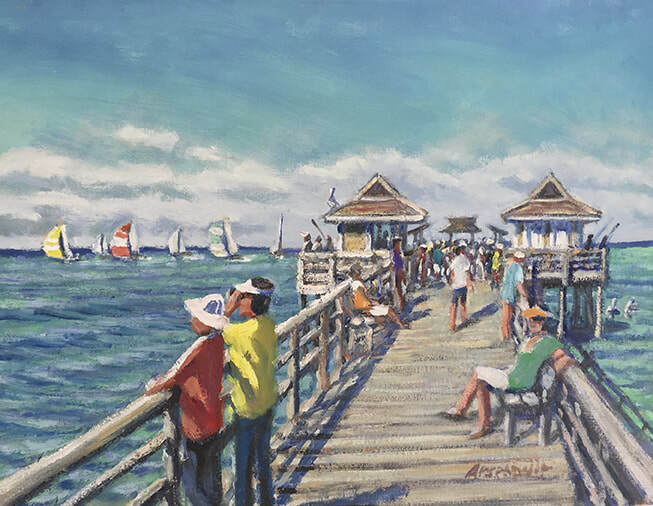 ​Paul and Eileen Arsenault have been proudly representing James P. Kerr at Arsenault Studio & Banyan Arts Gallery since the gallery opened in 2015. 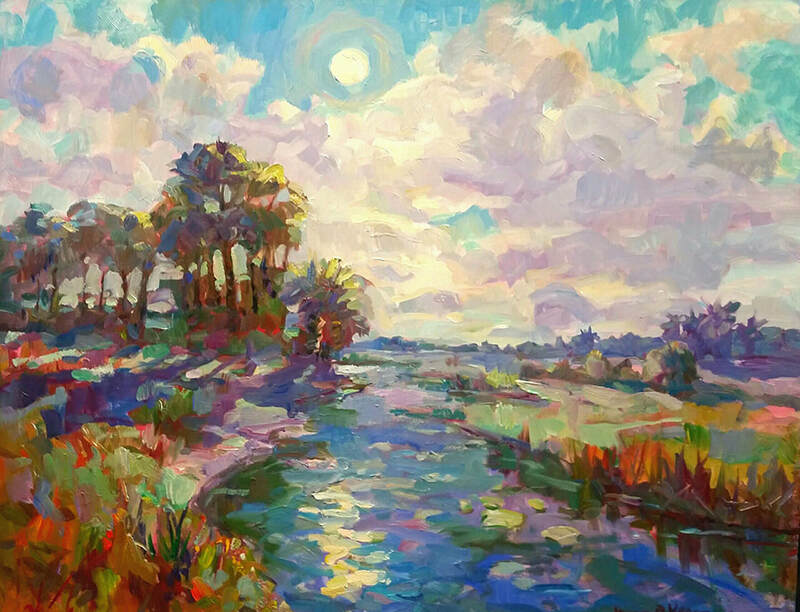 Please join us at the gallery between 5:30-7:00 PM on December 5, 2018 to meet James and view new work including his title piece (above), Blue Moon & Other Reflections. James was born in Buffalo, New York in 1953. 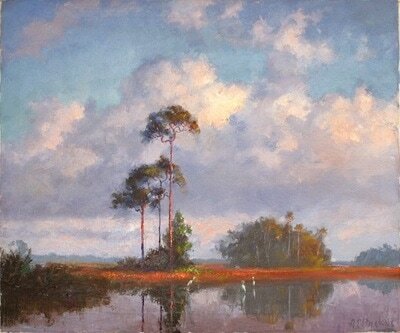 He studied with the late Lazlo Szabo, a prominent portrait painter, and Carl Ilig, a landscape painter. 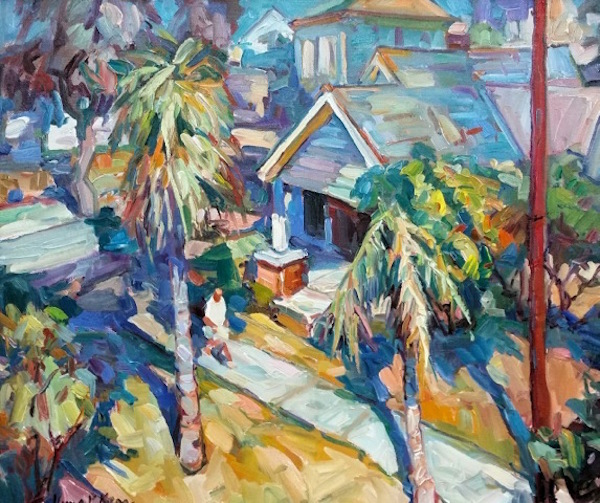 Kerr's approach to oil painting is direct and colorist. Inspiration for much of his work is derived from scenic locations in New England, North Carolina, Florida, and the Caribbean. 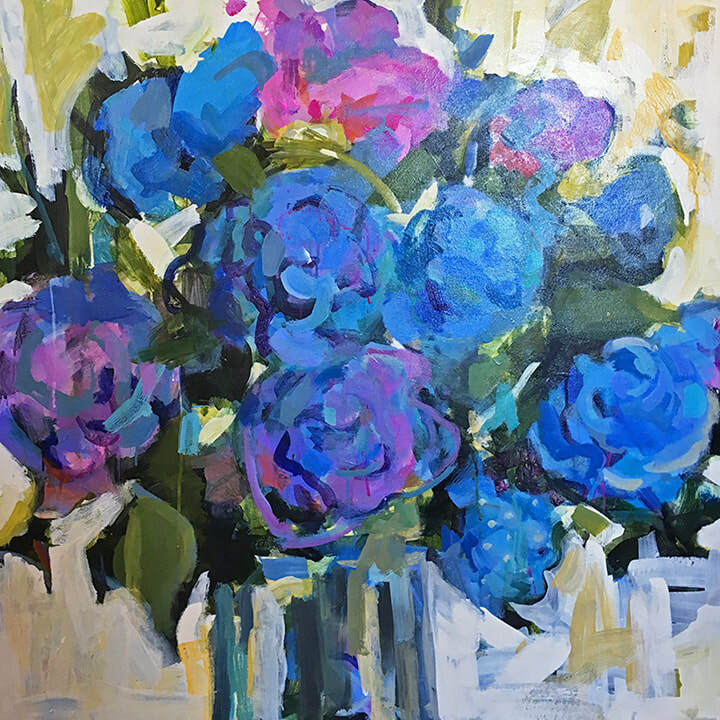 Responding to the vibrant colors of nature, James has developed a high key palette. Conversely, he is also influenced by the somber tones of the New Orleans night life and jazz musicians. James displays his interest in the human form through figurative works, portraits, and studies of human activity which he portrays with internal imagery. Tropical markets, nudes, fishermen, loggers, and sawyers are frequent subjects. Exhibiting for over 25 years, James has had more than 20 solo shows throughout the U.S. Collectors have sought his oils since 1966. His paintings are represented in hundreds of private and corporate collections, including the Wachovia Bank and Trust, RJR Nabisco, Glaxo Corporation, and Nations Bank. A long time resident of South Florida and north Carolina's Blue Ridge Mountains, James maintains studios in both North Carolina and Florida. Paul and Eileen Arsenault are excited to welcome Jerry Rose to the Arsenault Studio & Banyan Arts Gallery. Jerry believes that great paintings are a product of love and respect for the subject. 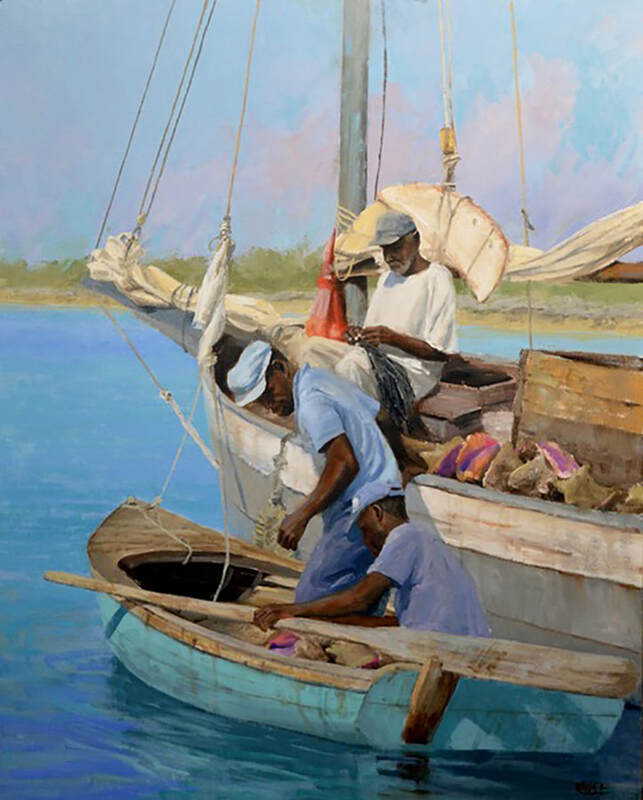 Drawn to coastal communities where people make their living from the sea and land, Jerry divides his painting time between coastal Maine and the Bahamas. He paints on site, which strengthens his understanding of the landscapes and people in these locations. 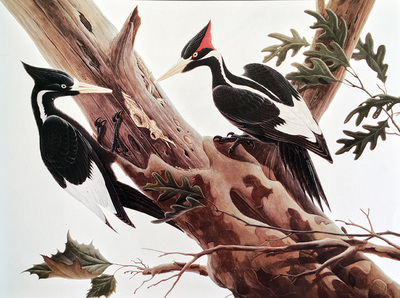 His paintings cover a variety of techniques, which are done in watercolor, oil, acrylic and egg tempera. Jerry received his formal training in Fine Arts from Ohio University and Graphic Design from the University of Cincinnati, but his interest in realism came together 35 years ago when he felt it was important to paint a way of life that was quickly disappearing in the outlying islands of the Bahamas. That need created the search for methods of painting that would best describe the vanishing life before him and has helped him understand some of the old world techniques to which he subscribes. 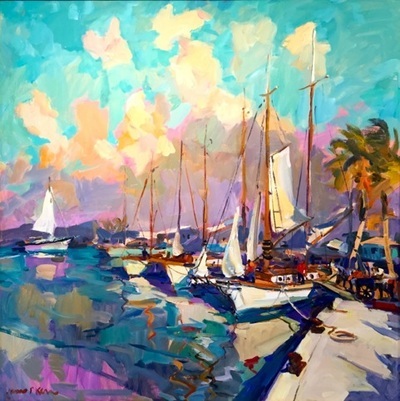 He is a professional member of the International Society of Marine Painters and a signature member of the Florida Watercolor Society. 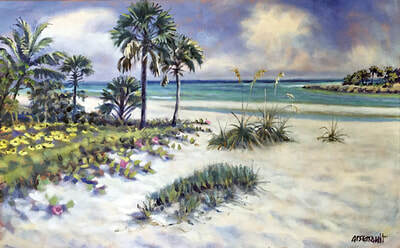 His work has been published in The Best of Watercolor by Rockport Publishers, Coast to Coast: the Contemporary Landscape in Florida, A Gallery of Maritime Art, Painting Light and Shadow, and numerous other art publications and magazines including Maritime Life and Traditions, published in Great Britain. He has received numerous awards and has had many one-man gallery, museum and private exhibitions. His work is in public and private collections in the United States, Europe, the Bahamas and the Caribbean. 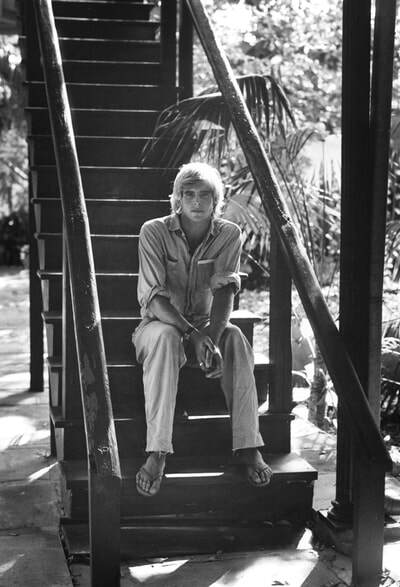 Jerry maintains a studio and home in Sedgwick, Maine and is currently building a home and studio in Green Turtle Cay, Abaco, Bahamas. 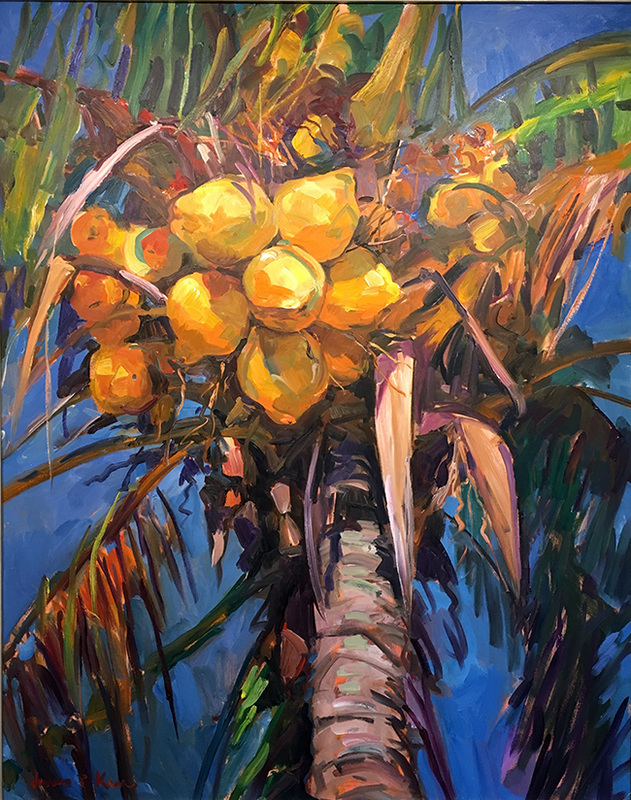 ​Paul and Eileen Arsenault are proud to welcome abstract artist Mary Parkman and plein air artist Shawn Escott into the Banyan Arts Gallery family! Mary, from Naples, and Shawn, from Boca Raton, have both been featured in recent shows at the gallery. 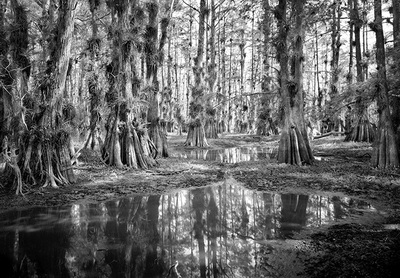 The overwhelming enthusiasm for their work, alongside stable artists Paul Arsenault, James P. Kerr, and photographer Clyde Butcher, has resulted in a more permanent representation. The season may be winding down for some, but the gallery is gearing up and growing as we head into the summer months. Don't miss this opportunity to meet the new artists, and view their new work as well as new works by Paul and James. 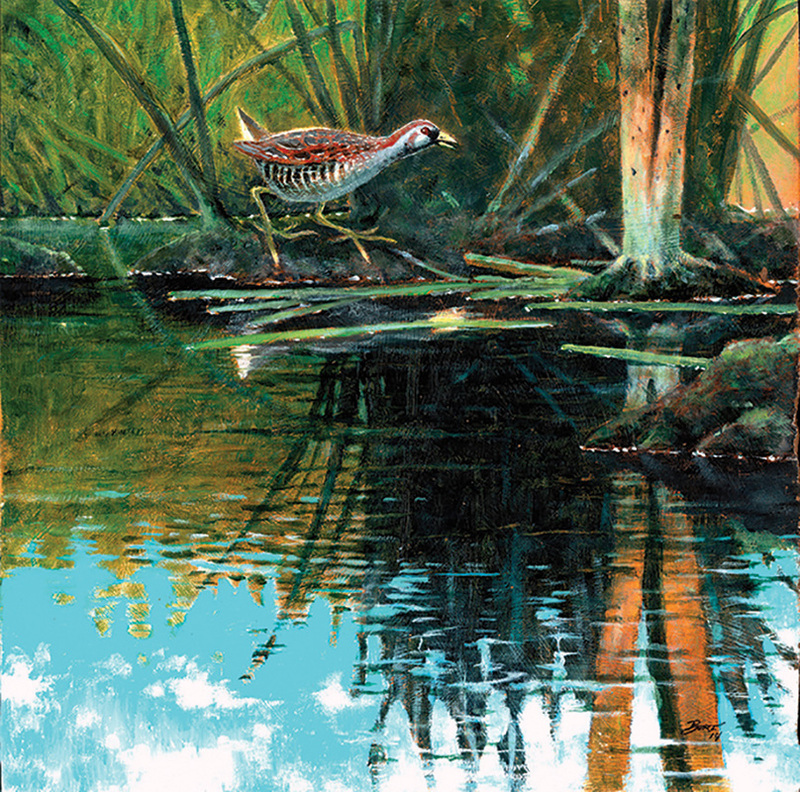 Over the 44 years Paul Arsenault has devoted to painting in Collier, Lee, and Hendry Counties, he has recorded places and events that visually tell a story of the region’s prehistory and history. 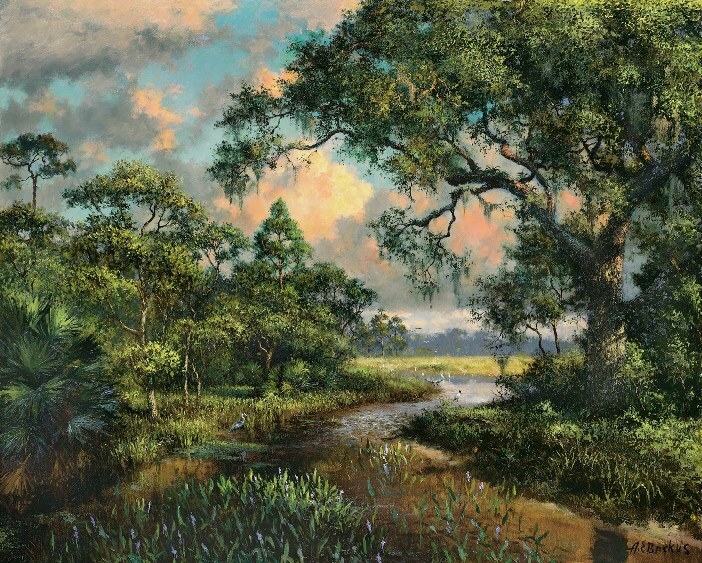 The painted stories in this exhibition include the thousand-year-old era of the Calusa Indians, but concentrate on southwest Florida’s evolution over the last 150 years from a raw wilderness inhabited by Seminole Indians and extremely hardy pioneers into a manicured metropolis of international renown. 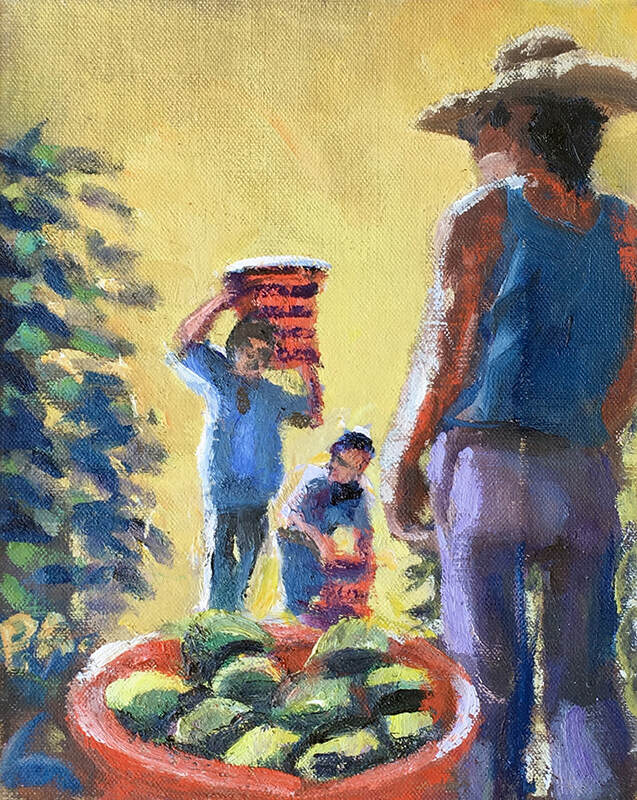 Arsenault Studio & Banyan Arts Gallery is proud to introduce Peter Selgin and Mary Parkman in the PETER, PAUL & MARY exhibit which opens on March 21, 2018. 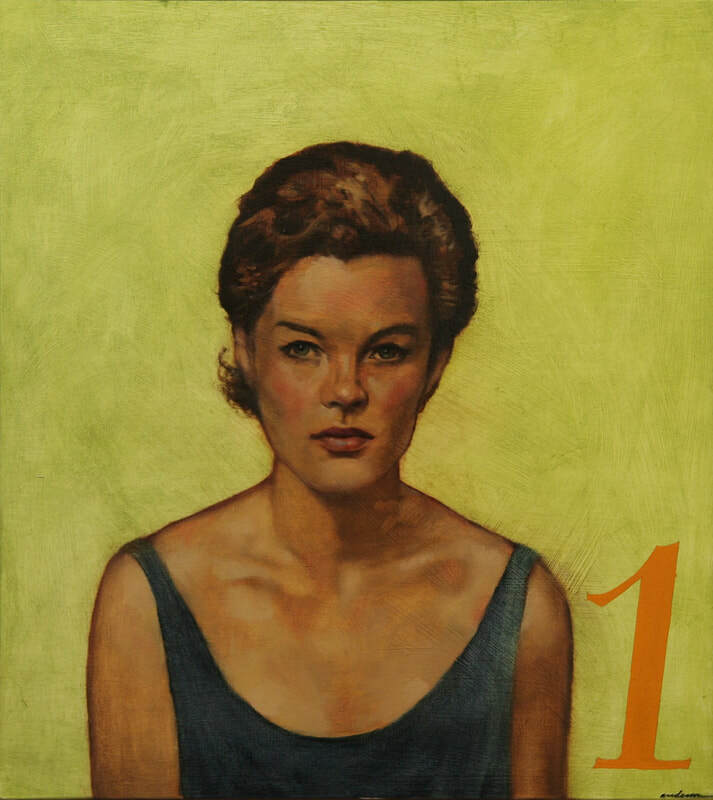 New paintings by Paul Arsenault will also be featured. 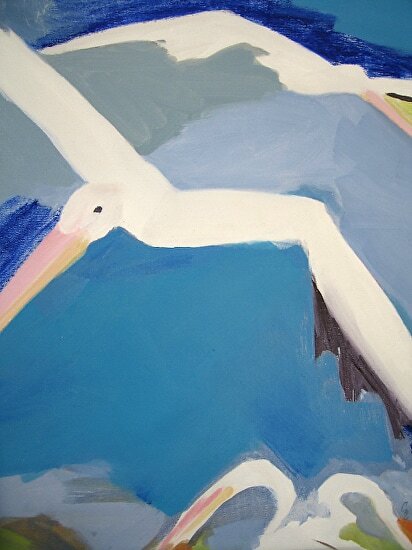 Award-winning author and artist, Peter Selgin, will also be holding a talk, PAINTING ICEBERGS—adapted from an essay in his book, Confessions of a Left-Handed Man. 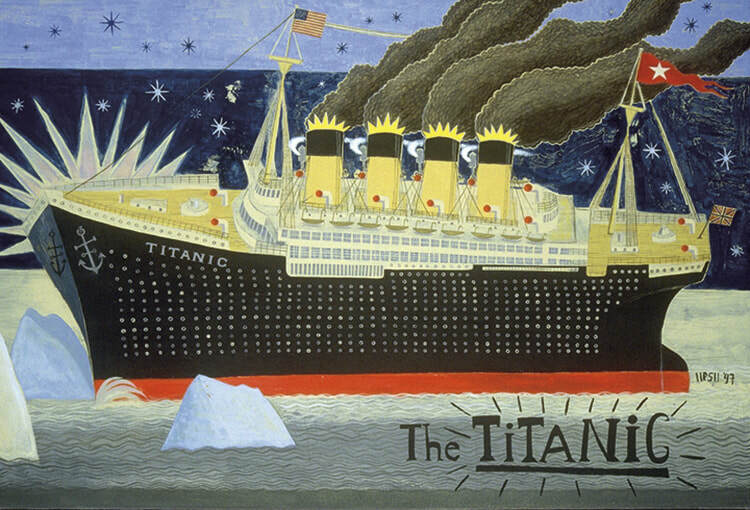 Peter will share his inspiration and his process that has resulted in over 100 paintings of the Titanic. Through his study of primitive, outsider, and folk art, Peter discovered a new naive approach to painting that freed him from the tyranny of linear perspective and allowed him to paint through the innocence of a child’s eye. Peter teaches at Antioch University’s MFA in Creative Writing program in Los Angeles and is Associate Professor of Creative Writing at Georgia College & State University. Arsenault Studio & Banyan Arts Gallery is proud to introduce the sculptures of Mireille Lemarchand and paintings by Reisha Perlmutter in the BODY & SOUL exhibit which opens on February 7, 2018. Works by gallery artist James P. Kerr will also be featured. Born in France, Mireille studied sculpture in Paris at l’Ecole Nationale des Beaux Arts, The Parsons School of Design, and private studios. 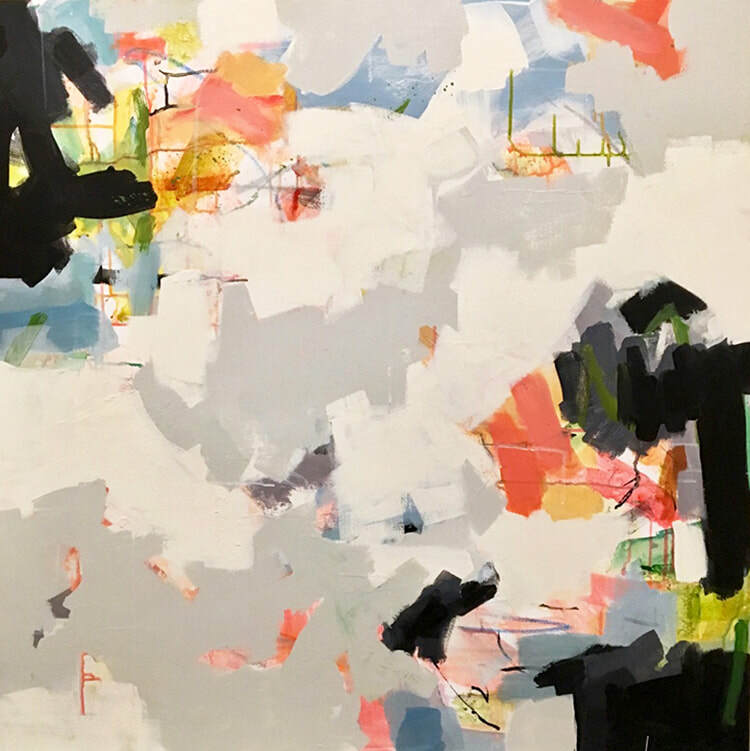 Her work is in private collections in Europe and the United States and she is represented by the Hoorn-Ashby Gallery in New-York City and Nantucket and Gallery Yellow in Cross River, New York. Mirelle describes femininity as the perfect balance of strength and grace. This is evident in her sculptures which capture emotions of the heart, flesh, and spirit. 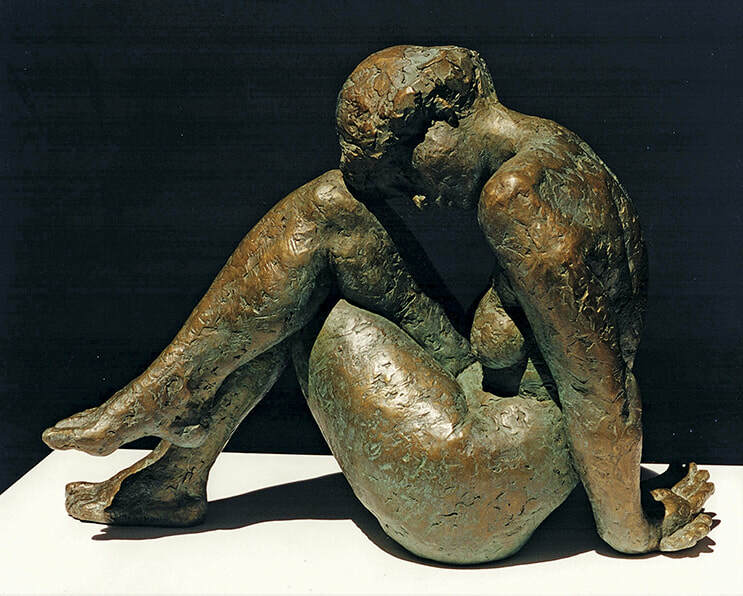 At first glance, her sculptures are subtly quiet, but closer reflection reveals an energy beneath the peacefulness. Mireille lives in Greenwich, Connecticut and Naples, Florida. 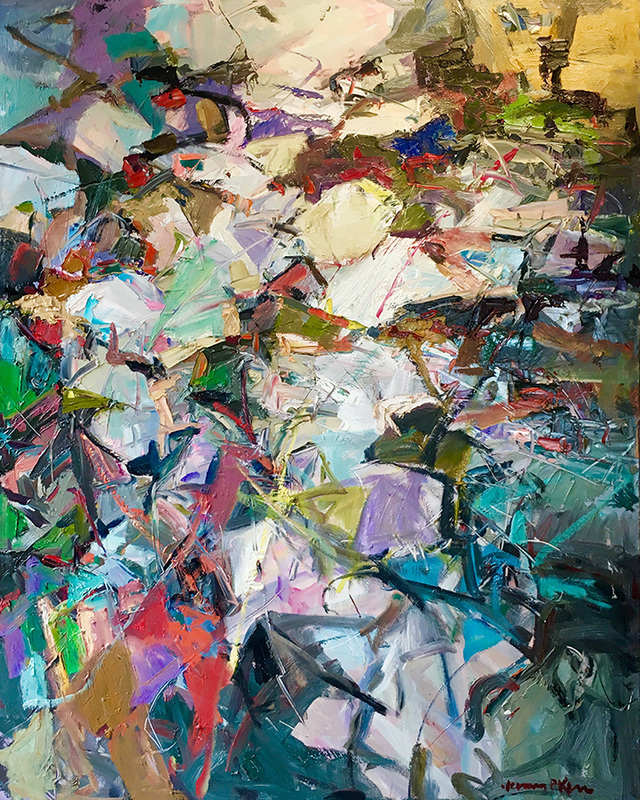 Born in Naples, Reisha studied art at Bates College, The School of the Art Institute of Chicago, and The New York Academy of Art. Reisha's work is about how we relate to our bodies on an uninhibited, biological level. 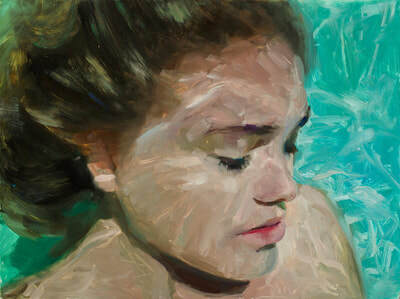 Her most recent works focus on women and water, blurring the separation between body and nature. 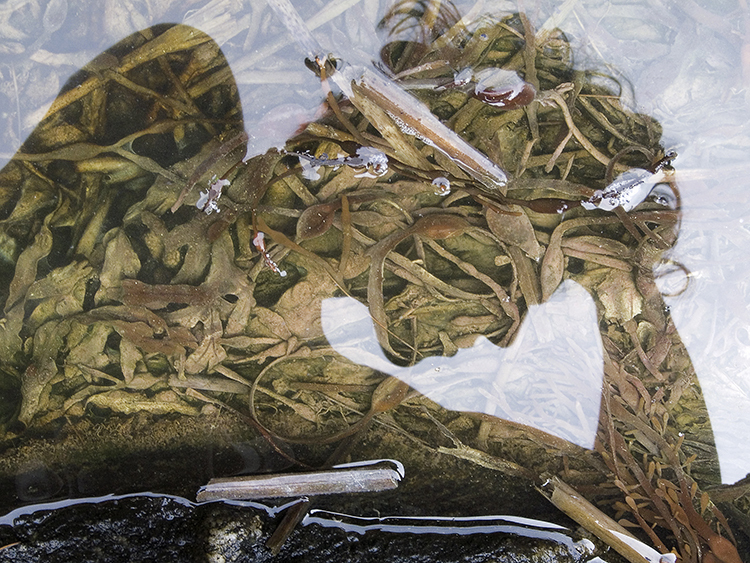 Water holds us entirely in peace and allows us to return to an intimacy with our bodies. Reisha lives and works in New York. 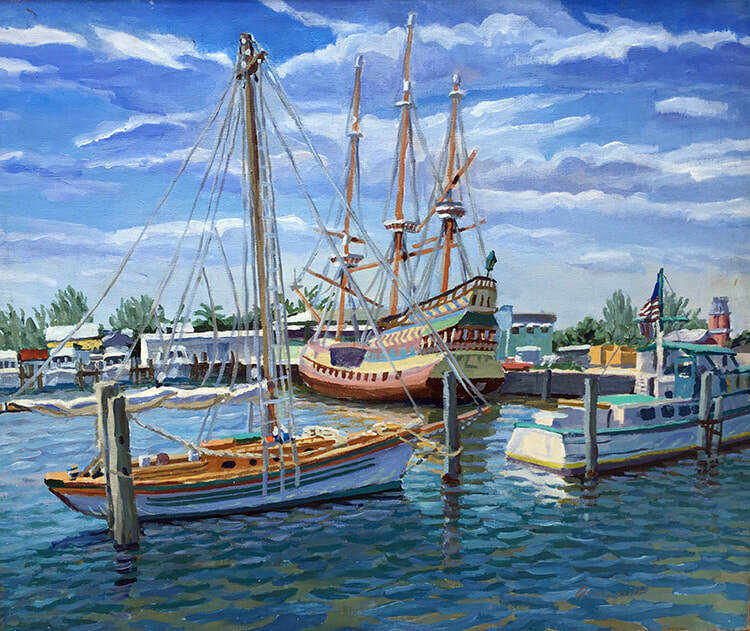 PAUL ARSENAULT'S exhibit, COASTAL TRADE…BOUNTY, BOOTY, AND BOATS OF THE GULF AND GLADES FROM NAPLES TO KEY WEST includes not only paintings that represent the pioneer days of southwest Florida’s maritime trading networks, but folk art, posters, and artifacts that relate to this heritage. 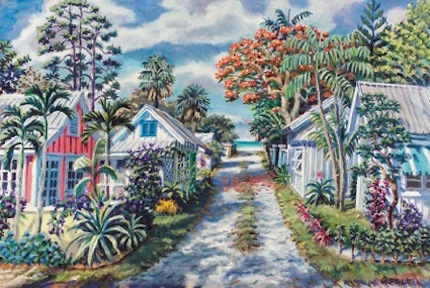 Arsenault’s paintings include fish houses in Naples and Isles of Capri, markets and general stores in Key West, clam canneries on Marco Island, and trading posts in the Everglades that were used by pioneers and Seminole Indians. Vessels that plied the Gulf catching fish, making deliveries, and transferring merchandise and passengers, such as the “Ina” and the “Bertie Lee” are represented in the exhibit, as is the replica of a pirate ship based in Key West that was the floating home office of treasure salvor Mel Fisher in the 1970s. There are also images of homesteads of some of the early growers and notorious characters whose produce was sailed, poled, or rowed to market from deep in the Everglades. That Mr. Arsenault had the opportunity to meet some of the remarkable old-timers with deep roots in this area makes the exhibit particularly interesting. PAUL ARSENAULT, JAMES P. KERR, AND JERRY ROSE share a passion for coastal communities. Arsenault Studio & Banyan Arts Gallery is proud to present ISLANDS, a show that brings three old friends back together to share their love and commitment to these fragile paradises through their art. 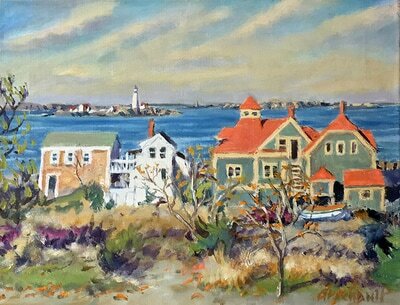 The gallery is honored to introduce Jerry Rose, who divides his painting time between coastal Maine and the Bahamas. 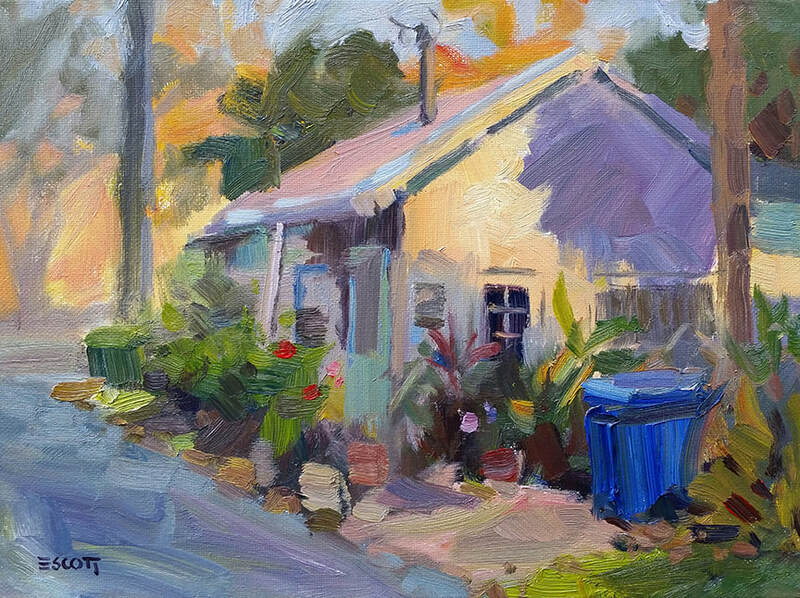 Jerry paints on site, which strengthens his understanding of the landscapes and people in these coastal locations. 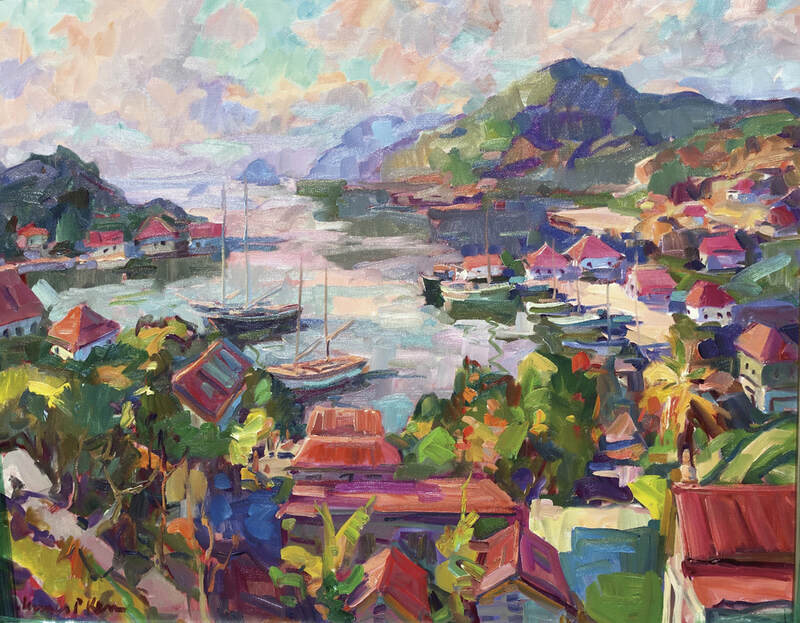 The ISLANDS show will also feature, "Painting Paradise," a short film narrated by Paul Arsenault which documents his early island adventures and quest to find the ultimate unspoiled island paradise. 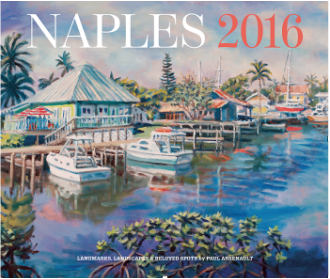 Paul will also be on hand to sign books and his new ISLANDS 2018 calendar from 11-2 PM during ISLAND DAYS (11/11, 11/25, 12/2, 12/9). WHAT: $50 Ticket includes wine and cheese reception and a single chance to win an A.E. Backus framed giclee. A.E. 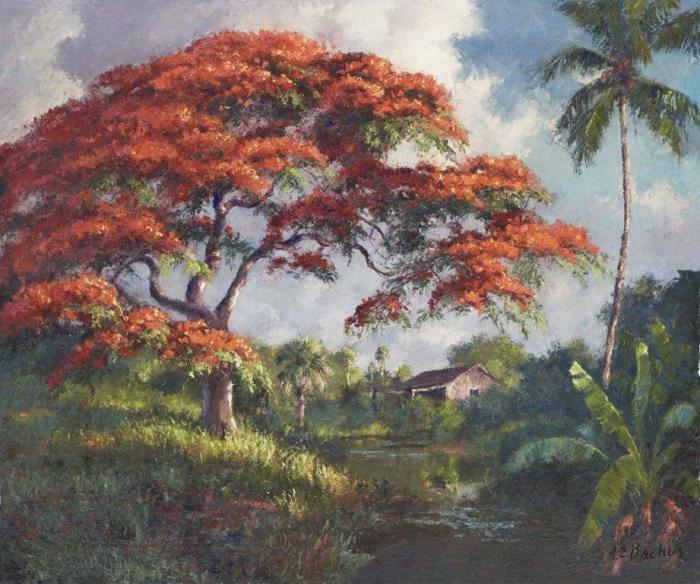 BACKUS is widely regarded as the Dean of Florida landscape painters, and his depictions of the Everglades show their beauty at a time when the prevailing sentiment was to drain them. This special presentation will explore his early influences, his role as one of Florida's first environmentalists, and the chronicler of Florida's fragile Everglades and unpoiled back country. Backus (1906-1990) also inspired and mentored the Highwaymen, African-American landscape painters who are still actively painting and exhibiting. The subject of several books, the new book "Tropical Light, The Art of A.E. Backus" will be available for sale at the reception. 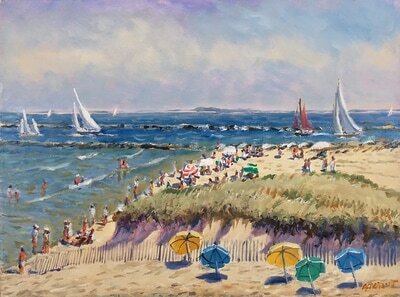 PAUL ARSENAULT has been painting coastal New England since his childhood in Hingham, Massachusetts. 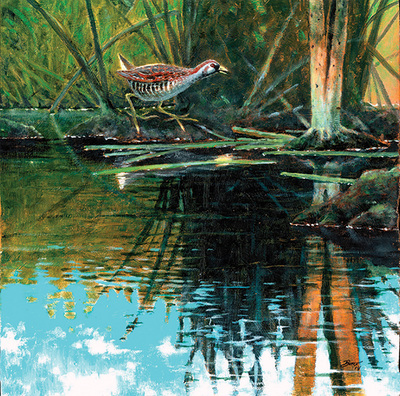 In his book, Paul Arsenault: My Journey As a Painter, Paul writes, "From as early as I can remember, I wanted to be an artist, and I was willing to live a life of struggle to succeed." Although his journey brought him to Naples, FL in 1974, Paul returns to New England annually to paint the landscape that inspired him at such an early age. 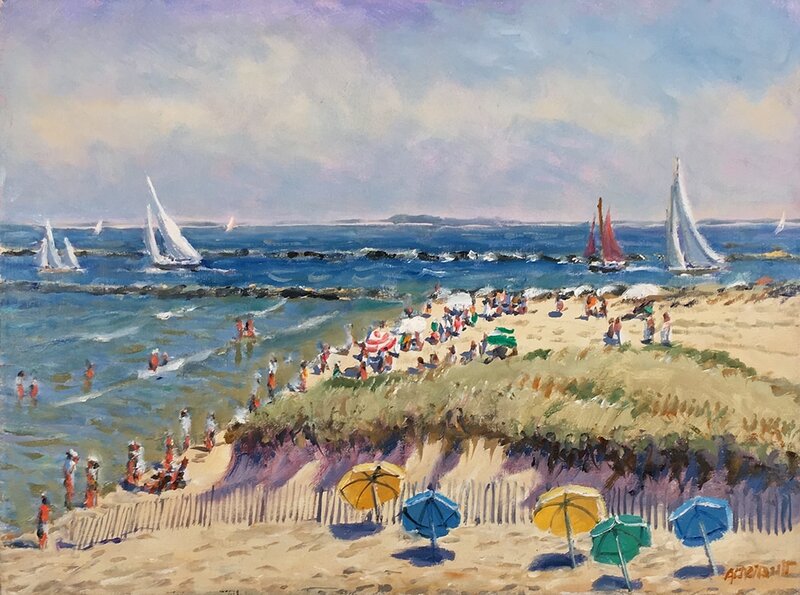 Many of the paintings in this show have not been shown before in Naples and represent his favorite locations from Cape Cod, Nantucket, and Martha's Vineyard to coastal Massachusetts and Maine. Paul will be sharing stories from New England as part of his ARMCHAIR TRAVELS series on Wednesday, April 12 at 5:15 PM. Seats are limited so please RSVP to reserve your chair! A book signing, open to all, will follow the talk at 6:00 PM. 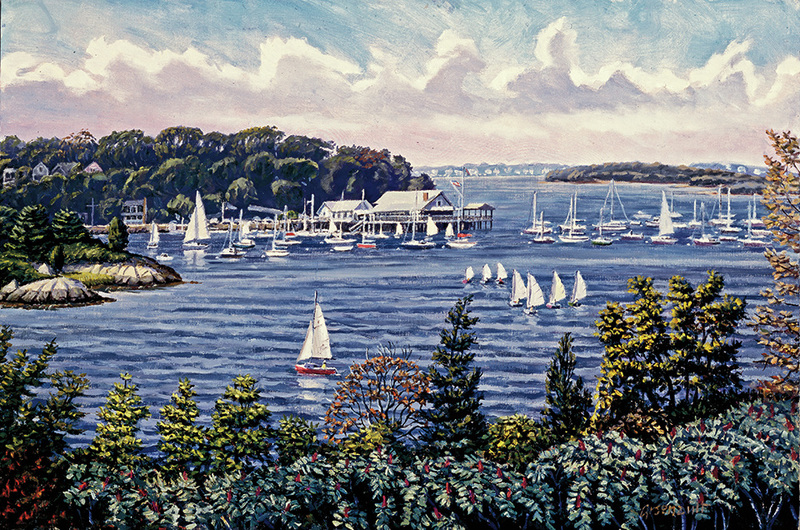 This inspired collection of New England paintings will be on display through April 26, 2017. 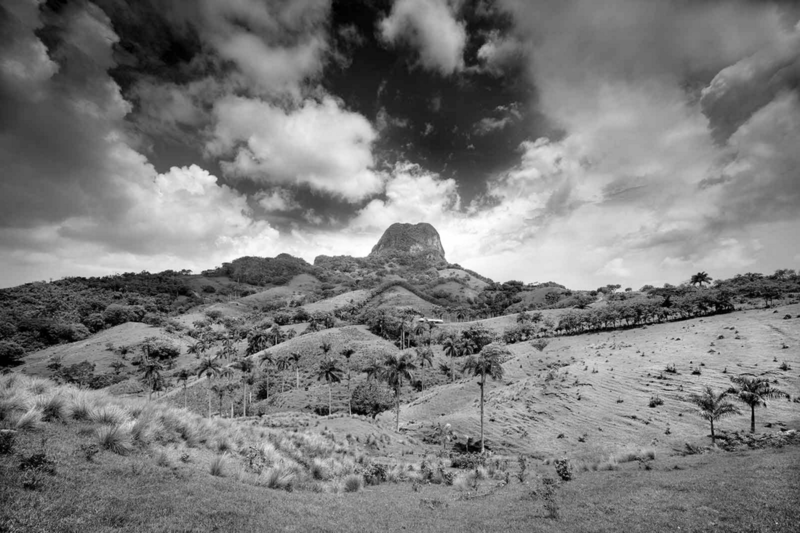 Commissioned by the United Nations to create a portfolio of the mountainous lands of Cuba, Clyde Butcher set out on three week-long expeditions into unfamiliar lands. 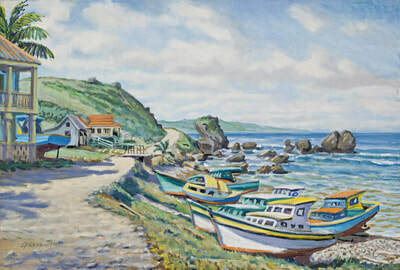 He explored the island country’s varied geographic regions, from the Sierra Maestra Mountains in Cuba’s eastern Granma province, to the southern coast between Manzananilo and Santiago de Cuba. He ventured to places including Baracoa in the northeast, the southern waterfalls of the Serra de San Juan, and the mogotes of the west in the Piña del Rio region. While taking photographs for the Conference for the Sustainable Habitat of the Mountains, Clyde thought about being part of an event changing history for the better, and enthusiastically saw an opportunity to make a positive difference. His photography transcends political boundaries, challenging us to work together to protect natural places across the globe. Arsenault Studio & Banyan Arts Gallery present JUMP UP: A Celebration of Island & Southern Culture. 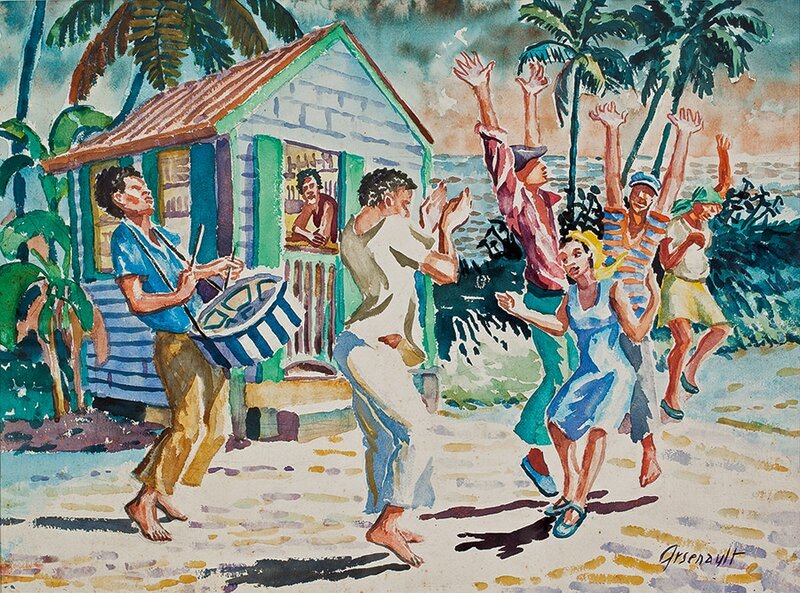 The show title comes from Paul Arsenault's JUMP UP watercolor (shown above) which captures the street celebration he witnessed on the island of Dominica. Similar Carnival festivals take place throughout the Caribbean and around the world to celebrate freedom through dancing, singing, pageantry, and music. 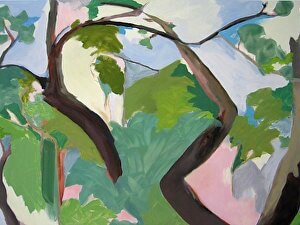 Gallery staples Paul Arsenault and James P. Kerr will feature new island landscapes, abstracts. and jazz musicians. Jean-Daniel Dornevil, originally from Haiti, will feature works that capture the richness of his culture. Paul is excited to welcome Juan Diaz to the gallery. Born in Colombia, Juan moved to Naples in 1995 where he was quickly discovered and mentored by Jonathan Green. Juan's paintings, drawings, and live art performances explore the complexities of life and the search for freedom, respect, and equality. Brian Perrymond, originally from Columbus, will make his gallery debut at JUMP UP. Brian is an artist and an illustrator with a passion for painting historical sports figures as well as jazz musicians. Arsenault Studio & Banyan Arts Gallery proudly presents THE HUMAN LANDSCAPE featuring abstract photography by Karin Rosenthal. 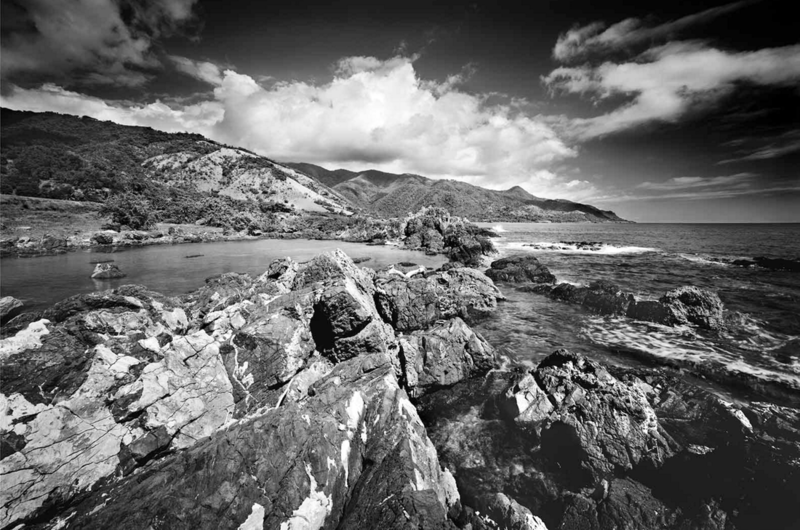 Karin has photographed nudes in the landscape since 1975, finding resonances between body and nature first in traditional photography and, more recently, in digital photography. 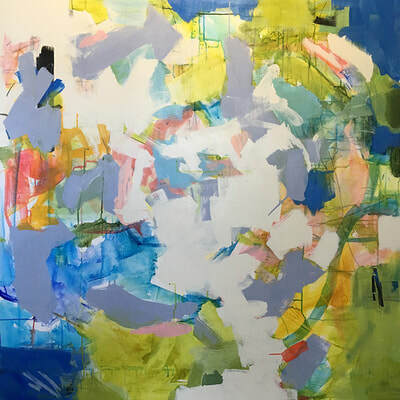 In her talk, JOURNEYING WITHIN THE HUMAN LANDSCAPE, on February 18th from 2:00-3:00 PM, Karin draws from a variety of series to convey the evolution and range of her motivations and explorations. Using the alchemy of light, water, and the human figure, Karin creates, with one click of the shutter, abstractions and illusions that challenge us to see beyond the predictable. Opening reception February 15, 5:30-7:30. Show runs through February 25, 2017. ​James P. Kerr's approach to oil painting is direct and colorist inspired by scenic locations from across the globe. He displays his interest in the human form through figurative works, portraits, and studies of human activity which he portrays with internal imagery. 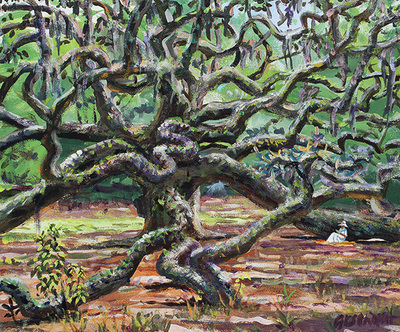 Exhibiting for over 25 years, Kerr has had more than 20 solo shows throughout the United States. Collectors have sought Kerr's oils since 1966. 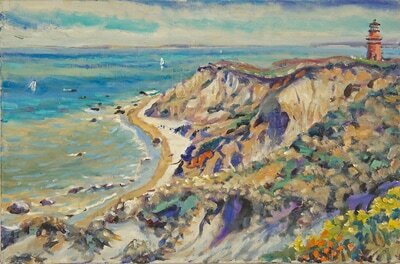 His paintings are represented in hundreds of private and corporate collections. Stop by the gallery between 4-7 PM on December 22, 2016 to meet James and view new work which include Naples Pier landscapes, still lifes, musicians, and abstracts. Renowned wildlife artists John A. Ruthven, Devere Burt, and John Agnew return to Arsenault Studios and Banyan Arts Gallery in November, a month that is literally FOR THE BIRDS! Also in November, the gallery will host a traveling exhibit which features the 12 winning photographs from the 2016 AUDUBON PHOTOGRAPHY CONTEST. Both shows run from November 3 through November 25, 2016. A private reception will be held on November 3, from 5-7 pm. Space is limited and RSVP is required. Please call 239-263-1214 if you are interested in attending the private reception or for more information about the shows. 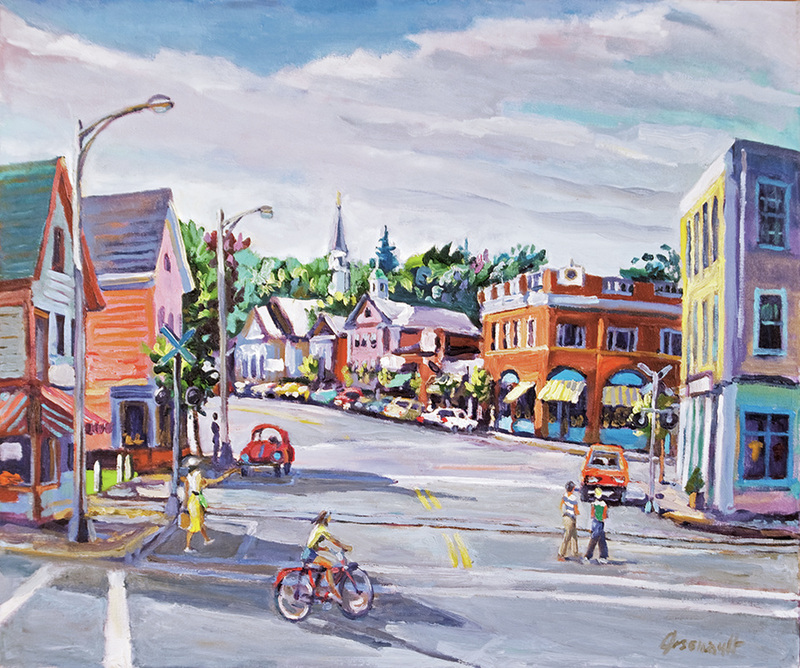 Paul Arsenault returns to his hometown for a show at South Street Gallery. The opening reception will take place from 6 to 9 PM on Friday, September 9, 2016. 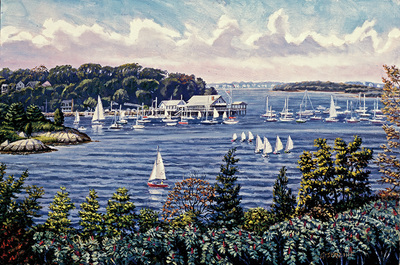 Visitors will have a chance that evening to meet Paul, see his local and New England paintings, his book, and to enjoy Paul's unique artistic perspective. As part of the exhibit, Paul will be giving a talk on Saturday, September 10, at 3:30 PM, when he will share his memories of growing up on the South Shore as well as his experiences as a traveling painter. Reserve your chair for the talk by calling 781-749-0430. ​Paul Arsenault has been living and painting in Naples since 1974. Throughout this time he has also traveled the world, capturing on canvas architectural gems and vanishing paradises. 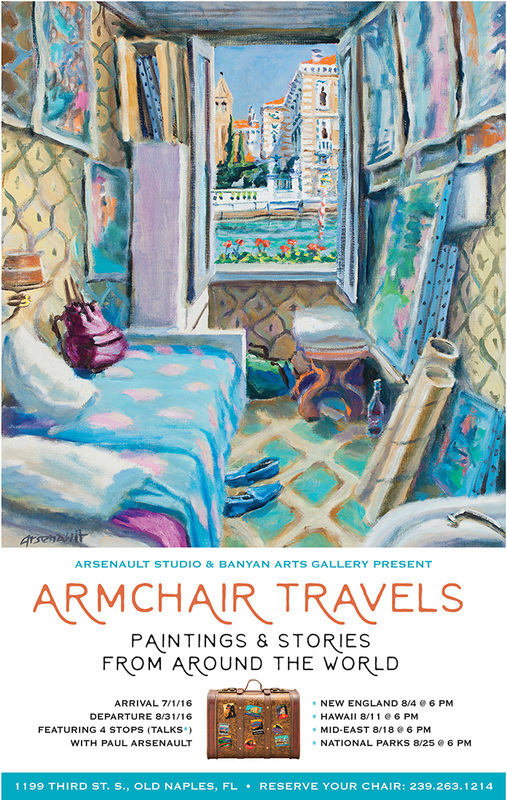 If you share Paul's wanderlust, this show, ARMCHAIR TRAVELS: PAINTINGS & STORIES FROM AROUND THE WORLD, is a must stop! Paul has also scheduled four talks where he will share his stories and experiences from New England, Hawaii, and the Mid-East. His talk on National Parks takes place on the 100th anniversary of America's National Parks. SEATING IS LIMITED. PLEASE RSVP: 239-263-1214. In addition to Paul's work, the gallery will also feature the paintings of James Kerr and the landscape photography of Clyde Butcher. Clyde Butcher's books, including, "Celebrating America's National Parks," are available in the gallery's new book nook. Arsenault Studio & Banyan Arts Gallery proudly presents EARTH DAY TO ARBOR DAY. 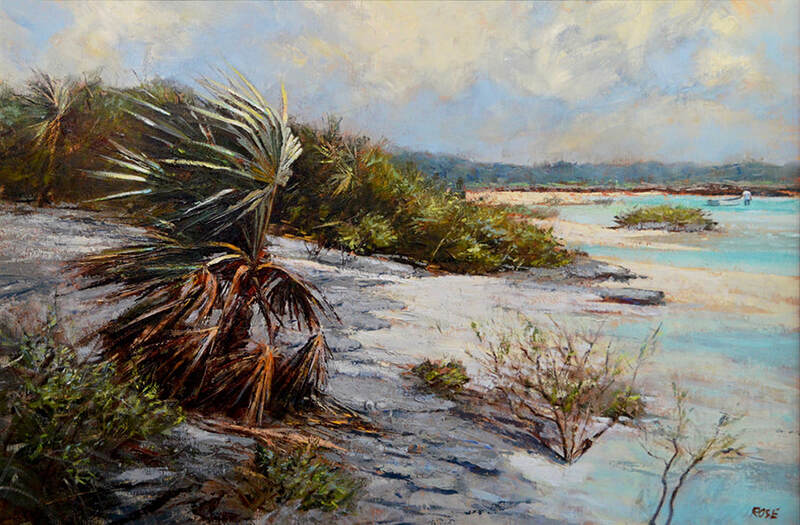 The Cypress Cove Conservancy will kick off the show on Wednesday, April 20th from 5-7 pm with a presentation by founder, Bobbie Lee Davenport, regarding their efforts to purchase endangered lands in Collier County starting at 6 pm.. 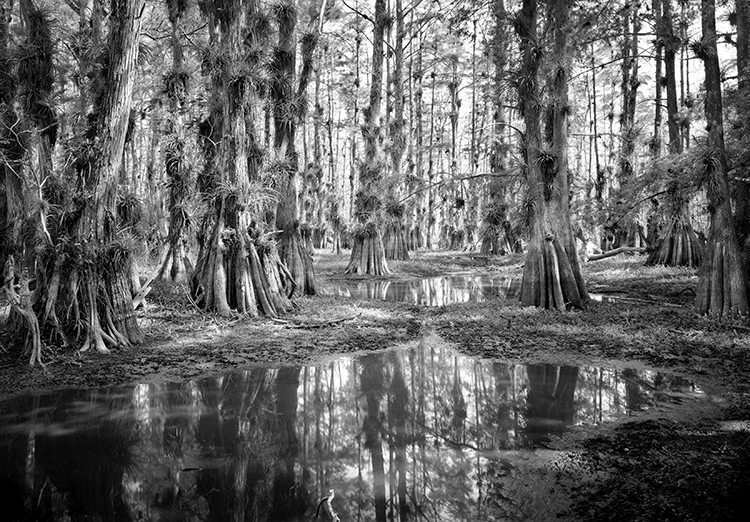 The show continues through April 30, 2016, and features black and white photography by legendary landscape photographer Clyde Butcher; abstract photography that explores nudes and the landscape by Karin Rosenthal; and contemporary impressionist paintings by plein air artists James Kerr and Paul Arsenault that honor our natural world. 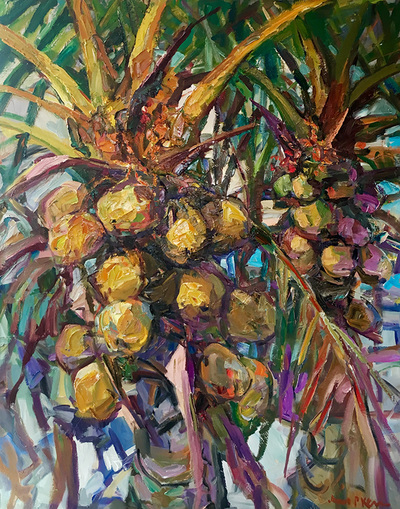 Dale Beatty's interest in art, architecture, and business have always been a reflection of his exposure to nature and the tropics. Raised in St. Petersburg, Florida, Beatty's life has been spent in, around, and under the water. Throughout the last 50 years, Beatty has been lucky enough to work with marine life. While attending the University of Miami to study Marine Sciences, he worked at the John C. Lilly Dolphin Research Institute in Coconut Grove. 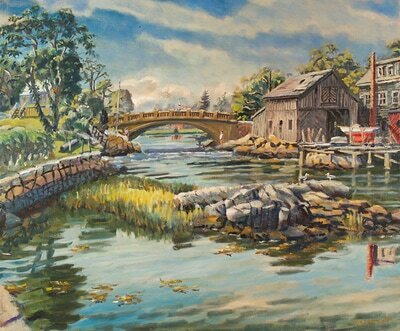 From Coconut Grove, he moved to Kennebunkport, Maine, where his business lead him into the world of woodcraft, jewelry production, building, remodeling, and many forms of creative arts. After ten years in Maine, Beatty moved to Naples, Florida and purchased a working commercial fish house. By that time, he decided to dedicate as much time as possible into creating furniture, marine-life sculptures, and building unique island houses located on the barrier islands between Naples and Marco Island. These island houses still stand as a monument to his passion for the tropics and its native wildlife. After selling "The Fish House," Beatty began dividing his time between Oregon and Punta Allen, Mexico. 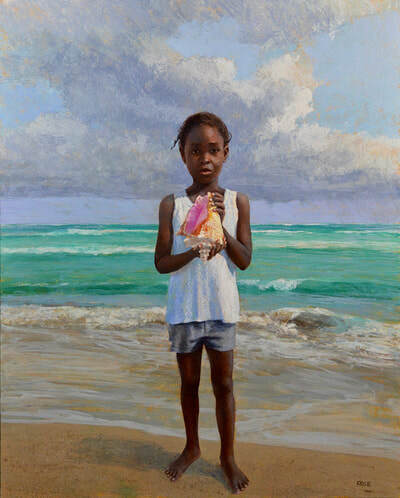 Arsenault Studio & Banyan Arts Gallery is proud to host Beatty's return to Naples. This exclusive exhibit, BIG CYPRESS TO THE GULF STREAM, features Beatty's whimsical fishing rods, reels, and hand-carved functional art. John Gillan's professional journey began with an eight year tour in the U.S. Air Force as a photo journalist specializing in editorial reportage and the 4 x 5 portrait. In this capacity Gillan was selected to photograph many dignitaries including President Nixon, President Carter, and Queen Elizabeth. After his service, and subsequent marriage to Theresa, his wife of 30 years, Gillan opened a state of the art studio/darkroom in South Florida. Here his career flourished as his work became more and more in demand. 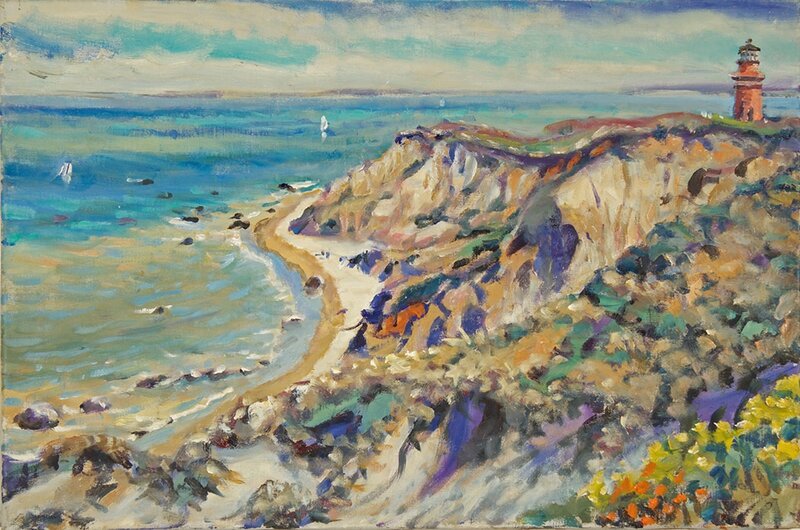 In addition to having his work featured in numerous publications, Gillan's works are displayed in museums and galleries as well as being the prized possessions of many private and corporate collections. Gillan is the two-time recipient of the Photographer of the Year Award, several Addy Awards, and a Florida Humanities Council Grant. Gillan's Historic Smallwood Store collection documents the life of Ted Smallwood and his family in the early 1900s including interpretive text about Smallwood's relationship with the Seminole indians. The Smallwood Store is located in Chokoloskee, Florida. Arsenault Studio & Banyan Arts Gallery is proud to feature Gillan's photography in their Marjory Stoneham Douglas room where Gillan will also debut never before seen Seminole portraits, a collection he has been working on for more than 15 years. 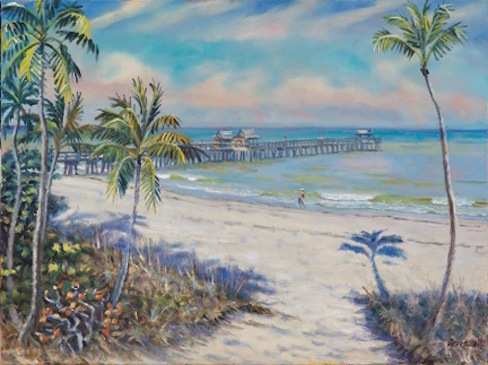 Jay Staton has lived in Naples, Florida. for 45 years. 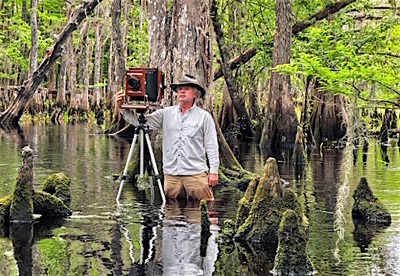 He has been a photographer capturing south Florida's natural beauty for over 30 of those years. 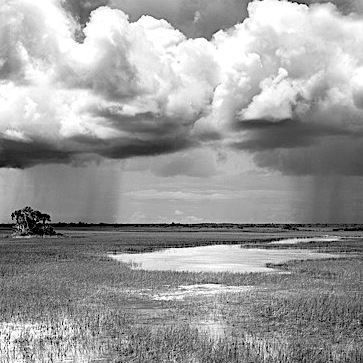 He specializes in capturing the untouched areas of south Florida, but with photographs and video. 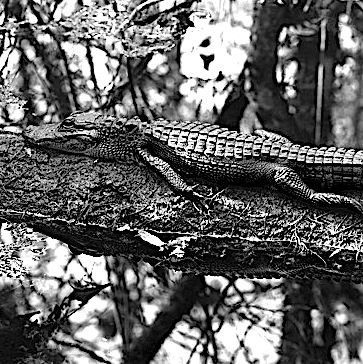 He loves exploring the swamps of south Florida, where most hikers wouldn't dream of exploring. Jay was the videographer & editor of a documentary entitled "Catching the Fak-a-habit," which won three Telly Awards in nature documentary and editing. 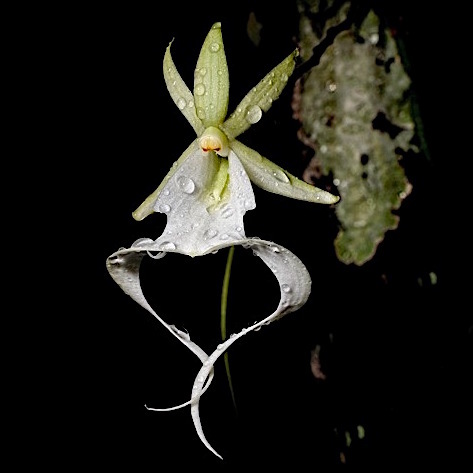 His images of rare and endangered south Florida orchids are displayed on Smithsonian's orchid project. His High Definition video footage has appeared in several PBS specials highlighting The Everglades and Big Cypress, and will be a big addition in an upcoming special on The Everglades by National Geographic." Jay's fine art landscape images of south Florida's natural beauty are captured on an old large format Deardorff camera. The result is a negative that measures 8 x 10 and produces images with such detail that they can be enlarged to eight feet without losing any detail.